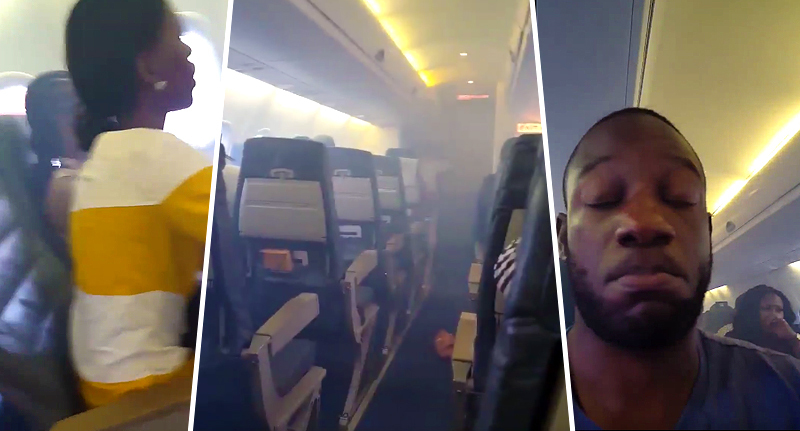 Frightening footage has captured the moment a plane-full of passengers scream and weep as the cabin fills with smoke. Passengers could be heard weeping as their Aero Contractors plane became clouded with smoke just 20 minutes into a domestic flight from Port Harcourt to Lagos in Nigeria on Wednesday. 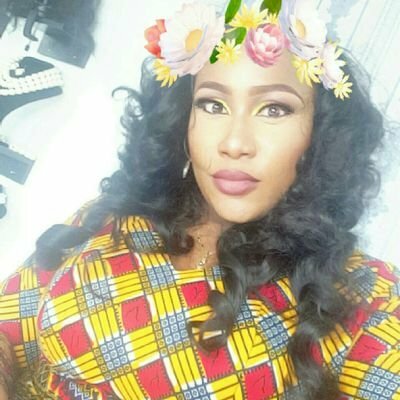 One passenger, Oriakwu Okwesilieze, who shared the scenes to Twitter, described how the ‘Aero flight went up in flames’ and the ‘blades were sparking’. I escaped death. I’m still shaky, this experience is one I can’t forget easily. Over 30 minutes we were chanting prayers as our flight was filled with smoke. Aero flight went up in flames…one of the blades was burning. Twenty minutes after take off, the flight started smoking. For 35 minutes we were chanting prayers, screaming, panicking….like we just took off and I’m about to die? Nah! God can’t let this happen. The smoke was so thick we couldn’t see, the blades were sparking. Pilot said we should calm down but something was burning, smelling and the smoke got thicker, the alarms went off but he said to calm down? He said anyone that can’t breathe should use a wet handkerchief. Ha! All I could think about was my family. Hell no I’m not dying today. However, an airline spokesperson has since stated everything was in order during pre-flight checks and the alarm only sounded when smoke filled the cabin after a passenger had used the on-board lavatory. The plane made a successful emergency landing 35 minutes after take off and was met by several firefighter units. Nigeria’s Civil Aviation Authority are investigating.